Simulcasting with Restream.io. How to remove Restream mentions?! 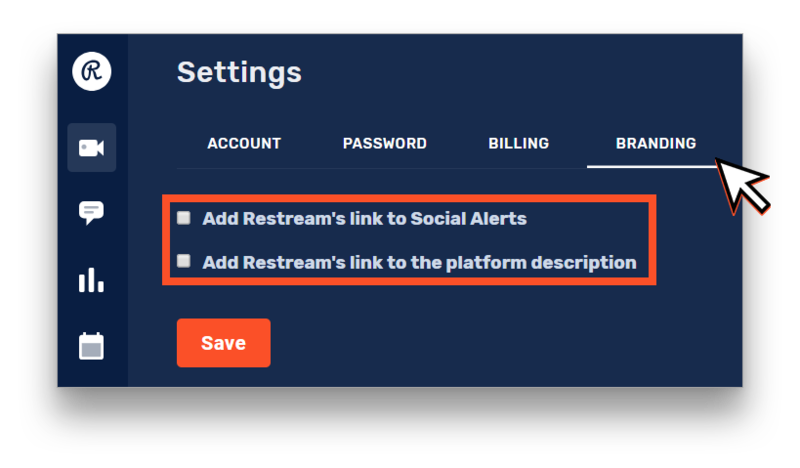 You may have noticed that sometimes you get a Restream mention in your streams descriptions or social alerts. This is our branding. This message "Simulcasting with https://restream.io/" for a long time was a way for Restream to keep API connections and our platform features free, that we still do. We add it as a 'payment' for connecting platforms and using our services - traffic for multi casting and chat. We've gone a long way and this feature was requested by a lot of professional streamers and companies and we are ready to provide it. 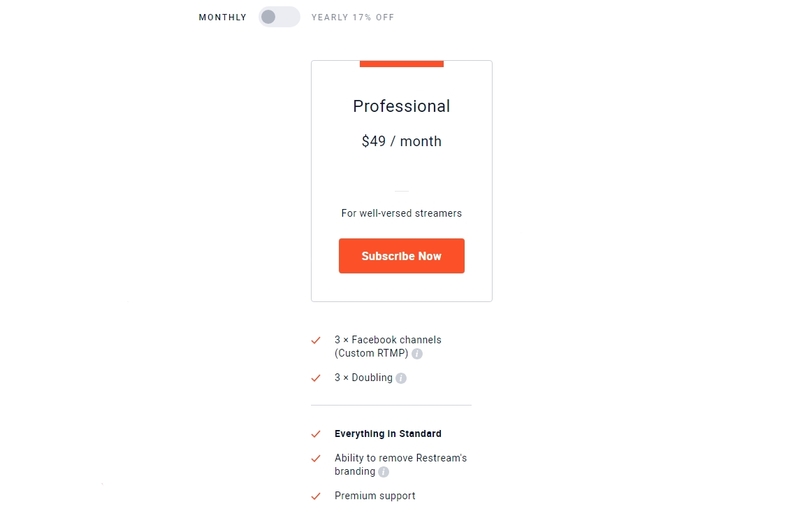 In order for you to be able to remove Restream's branding you will have to get at least Professional subscription from our pricing page here. Note: All the plans after Professional (Premium, Business) also include this option. After you've got a subscription with the required options you can simply disable any Restream branding that may be present in your broadcasts. Simply go to your 'Account Settings' and choose the 'Branding' tab, there you will be able to disable branding and save the changes. After that your streams and social alerts will be free of any Restream mentions. Note: some streaming platforms like YouTube may require manual branding removal from description once, after the branding disabled in settings.